Being unhappy at work can be very de-motivating and depressing, but with our current economy, where good jobs can be hard to find, quitting is often not an option. Rather than throwing in the towel, you can change the way you think about your work to make it more meaningful. Even subtle change can lead to significant workplace transformations. Use these remedies for job dissatisfaction to make the situation more pleasant. If you want more detailed explanations, follow this link to my full blog at Experis/Manpower Group. 1. Take on a positive outlook. 2. Rethink your current job. 3. Plan your day differently. 4. Alter your work environment. 7. Take a lunch break. 8. Know your motivation for staying. 9. Have goals, dreams and aspirations. 10. Tap into company resources. 12. Look into transferring departments or locations. Consider the alternatives before you make a decision to leave. Finding a new job isn’t always easy. If you can find ways to improve your current situations, it’s usually worth pursuing it. When all else fails, prepare for other employment by setting goals, gaining clarity around what you want and don’t want in your next position, updating your resume, reviving and building your network, and polishing your skills. By setting goals you identify a finish line, and by meeting the goals on a daily, weekly and monthly basis you give yourself something to feel good about. Posted this piece at Manpower’s Experis page to help remind you of the importance of managing your busy life, controlling your time, making more effective decisions, and becoming more proactive, productive, efficient and balanced in the way you live your life. Please add your comments! Been talking about the need to be able to ask for and accept help for years but now that I am reliant on others, I am truly experiencing the power of help in a new way! It has been several days since I had surgery. Maybe I was in full denial, but I really believed I would bounce right back. I didn’t arrange for any help. I had coaching client sessions scheduled the remainder of the week because they were all scheduled to occur by phone. I find that I wasn’t ready for the reality of not being able to do anything and feeling so crappy. The pain was so bad that doctors/nurses had to keep increasing my pain medication. The effects of anasthesia, pain medications, discomfort left be quite immobilized and needing help even for some of the most basic things. Although I had prepared my family and business by removing a lot from my plate, had done a thorough house-cleaning, cut back work appointments, bought a full week of groceries, planned a week of meals with my husband, etc. things seemed to unravel when my condition wasn’t quite as expected. My teenaged kids were not as helpful as I thought they’d be. My husband grew bored with sitting around and helping me. Even the dog pouted because he didn’t get his daily long walks with me. I hadn’t planned ahead or aligned the help I needed. I falsely believed that I would be able to handle things. After having a bit of a meltdown and feeling sorry for myself, I was able to appreciate the help I already had. My sister-in-laws who coordinated visiting on separate days to help out, a friend who stopped in with the medications she picked up for me, the many phone calls I receiced, the help from my husband, my mother-in-law and the kids. This morning I took control and put out emails, texts and calls for help. As a result, I had lots of response! The lesson learned is that when you act like ‘super-women’ , people expect you to be such but when you expose yourself to needing and accepting help, there’s a world of people ready, able and willing to help! I am grateful to those who have come to my aid with help, emotional support, flowers, meals, and more. Too bad it takes experiencing a situation first-hand to be able to experience the real power of the lessons! Today is officially the first day of summer. For some, it may have felt that summer started weeks ago when your kids ended their school year or when the days were longer and hotter. With temperatures peaking in the 90’s today and bright sunshine, it will definitely feel like summer here in NJ, although the kids don’t finish their school year until Wednesday! As each new season comes and goes, many of my clients use it as a time for self-reflection and renewal. They check-in with their goals to see if they are on track. They commit to achieving new goals for the second half of the year. What are your priorities this summer? How will you be sure to stay focused on achieving what’s most important? What obstacles may prevent you from achieving what you what you want to? How can you plan on avoiding them? 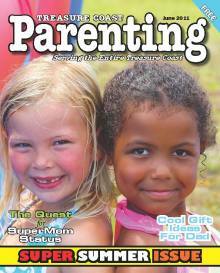 What will you do to gain some enjoyment from this more relaxed time of the year? As a professionally trained and internationally certified coach, I work with business leaders to help insure their personal and professional success. I offer training, keynote presentations, and seminars to support each individual and the organization as a whole to achieve your goals. Contact me at natalie@theprioritypro.com or 908-281-7098 to discuss your needs! 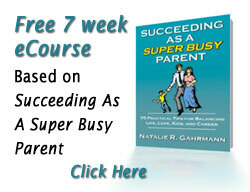 Learn tips for Thriving in your SuperBusy life! Read the latest blog entry on The Priority Pro’s blog at Manpower Associates so that you can learn important lessons that will help you thrive. A professional colleague of mine, Avish Parashar, the creator and owner of MotivationalSmartAss.com, is a motivational humorist who prides himself on being a little different than other humorists and very different than other motivational speakers. He has an edge about him that may motivate even the most ‘unmotivatable’! Avish recently shared his “5 Unconventional Ways to Increase your Productivity” in his blog. Click here to read his entire post. Realize it is not the standard advice but could certainly work for you!! Here is the gist of it but read his explanation in full to gain the understanding that will help you adapt this unconventional nontraditional thinking to help you improve your productivity! You may surprise yourself that after trying a good handful of the traditional approaches, an unconventional approach can net you some very powerful results!